A week dedicated to its namesake, held at venues across the world between 2nd and 11th November 2017. 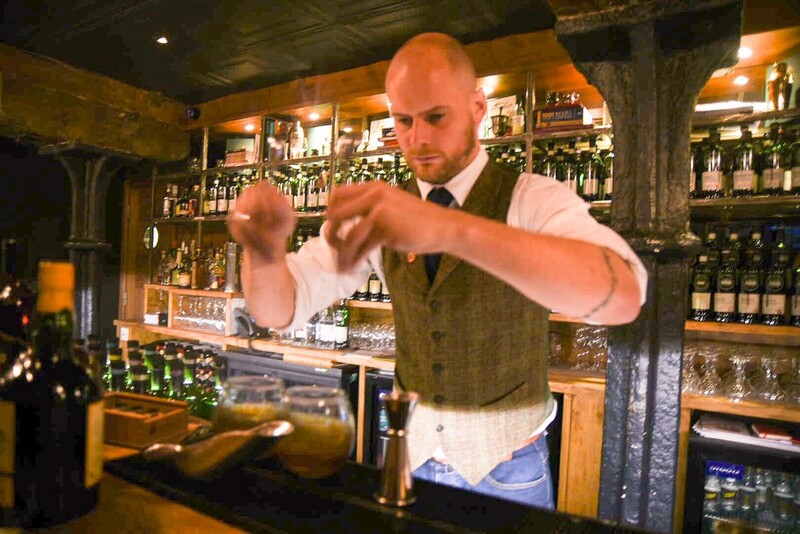 Over 300 top bars from Australia to Alaska have signed up to Old Fashioned Week so far, with more joining each and every day. Each will offer a menu of different Old Fashioned Cocktails ranging from the classic to bold and innovation creations that imbibers would not normally recognise as Old Fashioneds. Who are the Partner Brands? This year, Old Fashioned Week welcomes both new and returning brands, including Angoustura as the event’s official bitters; Havana Club rum; Monkey Shoulder, Wild Turkey and Rhum JM. So, back to the best bit. What is it you’ll be drinking?! Head Bartender of Scotch Malt Whisky Society’s Kaleidoscope bar, Jamie Meehan and one of his team members, Elsa Holmberg, treated us to a selection of Old Fashioneds from the four spirit partners as a burlesque performance to what is to come. 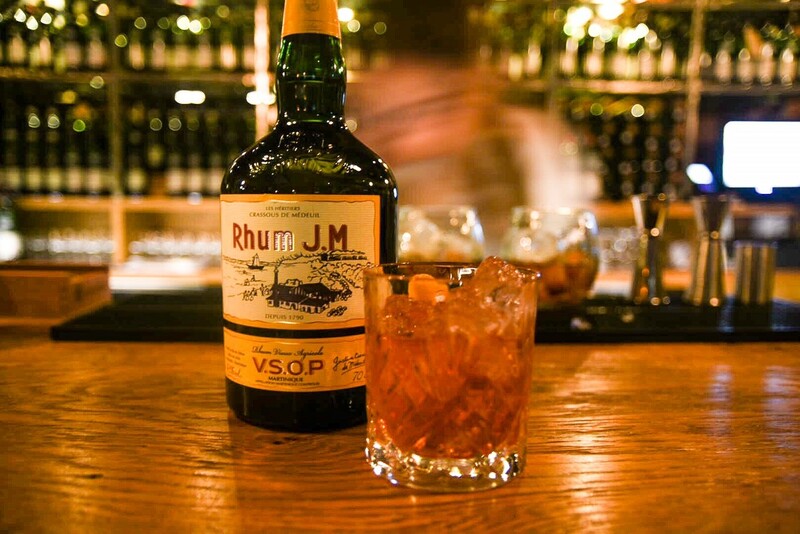 Renowned distillers Rhum J. M. are known for their stunning agricole rums that hold their own neat or any cocktail. The VSOP expression used here is matured for three years in re-charred Bourbon barrels before being finished in lightly toasted virgin American oaks for another year before bottling. This dual aging gives the spirit a viscous toffee sweetness with a toasted oak core. Light grassy notes and hint of chocolate push through to create an excitingly rich palate with a lengthy aftertaste. The Old Fashioned created by Elsa is perfectly balanced. The sweetness of the rum is tempered by the zing of the orange peel and Angostura bitters. A gentle twist on the classic that is the perfect start to the evening. We were very excited when heard about this one. Jamie created this beauty by frying bacon with no oil before deglazing the pan Wild Turkey 101 and adding maple syrup. This was then double-strained and packaged for inclusion with the usual ingredients of an Old Fashioned. 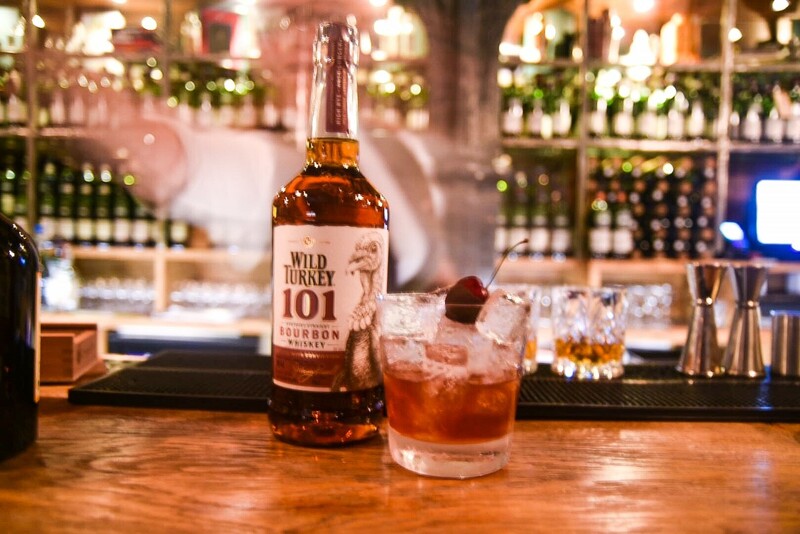 Wild Turkey 101’s rich palate with its caramel sweetness spiced by pepper, cinnamon and nutmeg, combines decadently with the homemade reduction to produce a surprisingly not-too-sweet cocktail with a background of bacon and a gentle maple coating. 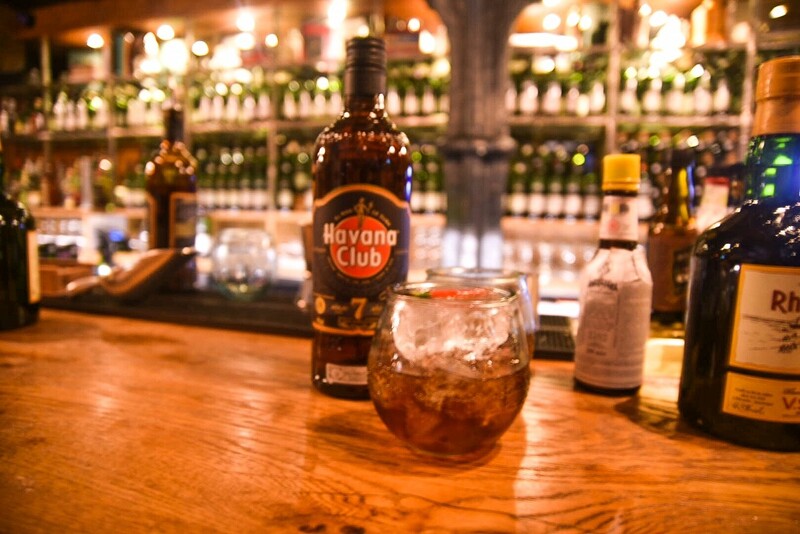 When we think of quality rum, Havana Club is never far from our minds. The 7-year was the first expression intended for sipping, making it a stunning liquid all round. The palate is full and there is a good balanced between the sweet vanilla and a decidedly toasty oak. Notes of cigar box come through and outlast the creamy vanilla. The Old Fashioned created by the team is smooth and developed, with a scotch bonnet syrup hit and sweet cinnamon-y coffee bitters. This is truly an exquisite take and one that we would happily drink all night long. 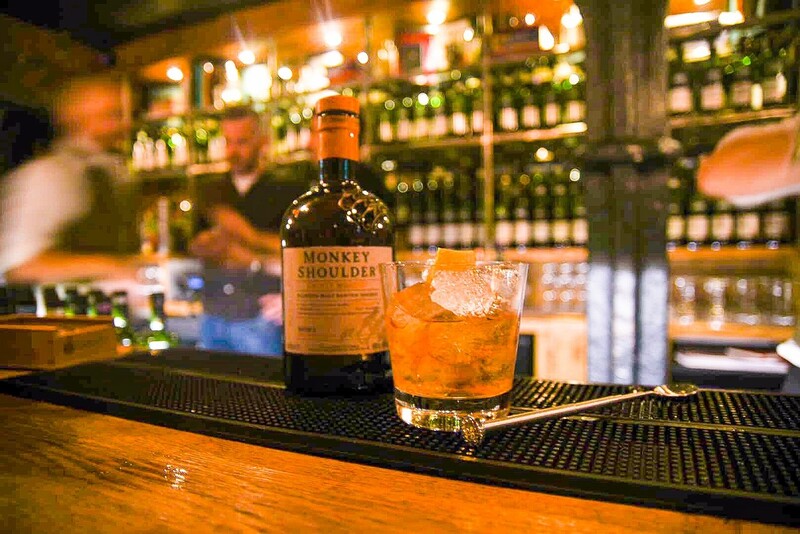 Rather unusually for an Old Fashioned, Monkeys Shoulder is a blended Scotch Whisky. Its profile is smooth, sweet and very quaffable with mellow vanilla and titillating hints of spice. Dark chocolate and cherry notes combine with the whisky to create a dessert Old Fashioned that lavishly recalls a Black Forest Gateau! The easy nature of the dram allows the other flavours to sit on a level with the spirit, resulting in a characterful cocktail. 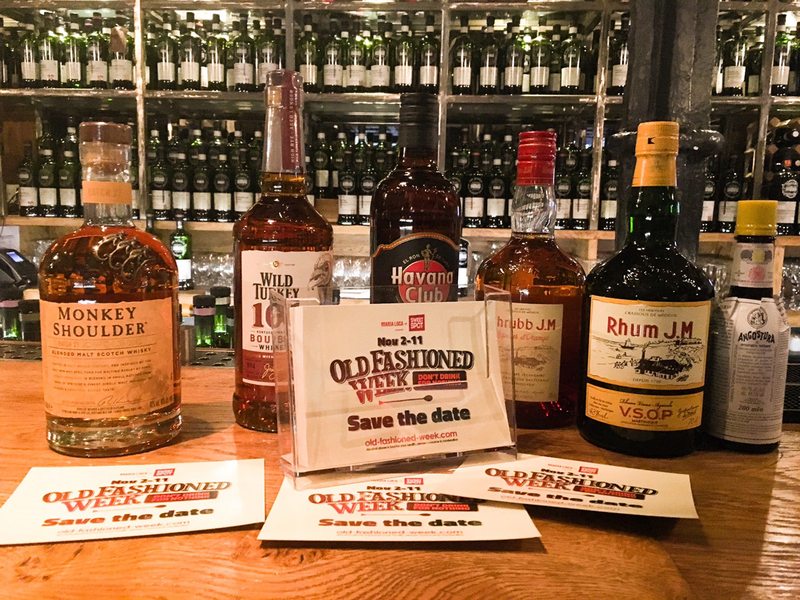 For more information about Old Fashioned Week, visit their website here.